Sri Ramachandra Murthy June 11, 2018 10:30 IST Heavy rains in Karnataka!! 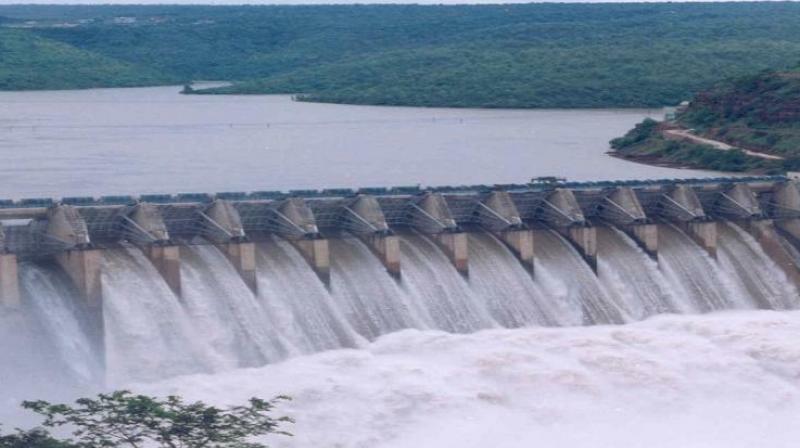 Due to the southwest monsoon rainfalls which are on a rampage, the Karnataka dams are fast Filling, with the Cauvery catchment areas getting heavy rains. The southwest monsoon rains are heavily impacting the state of Karnataka. Following this, there's huge water flow across different parts of the state, like Bangalore and Kodagu. Especially in Kodagu, due to heavy rain falls, schools and colleges remain closed. Besides due to the excessive rainfalls, there are floods in Thala Cauvery. Due to this the people in Cauvery river areas are shifted to safe zones. Besides, the water flow in KRS dam has also increased to huge levels. Even the Harangi dam is getting huge water flow. The dam has been getting a flow of 295 cubic feet of water per minute. Coastal areas of Karnataka like Dakshina Kannada, Uttara Kanda and Udupi are facing heavy rainfalls following which dams like Nethravathi and Kumaradhara are witnessing floods. The meteorological department has announced that, for another 2 days there will be heavy rainfall and winds.